There are economic benefits and environmental costs to coastal development which influence the success of the development equation. Els Muntanyans on the Costa Dorada provides a case study where the costs are perceived to outweigh the benefits and coastal development pressures have been reduced by recent court action (February 2008). Planning permission has been given for the construction of 550 homes, parks and facilities covering 173,900 m� on the edge of coastal marshland and dunes at Els Muntanyans in Torredembarra. The Els Muntanyans beach is the last remaining large natural beach on the Catalan coast between the Llobregat Delta to the south of Barcelona and the Ebro Delta. 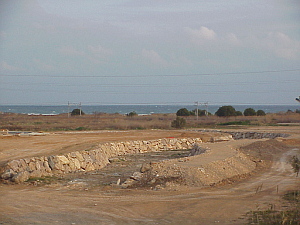 The development, a second phase of construction at the site, designated Els Muntanyans II, is located at the mouth of the Gibert torrent and covers the biological corridor that connects the adjacent beach and Protected Natural Area of Interest (PEIN), with the protected rural interior. The Government Directorate General of Coasts recognised the importance of the biological corridor in a 2001 report, which recommended the purchase of the land together with the adjacent Muntanyans I site, and its incorporation into the PEIN Plan. 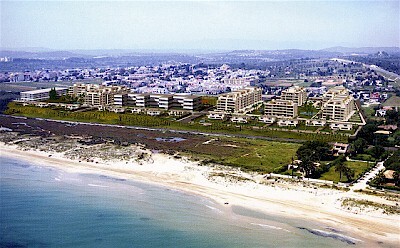 However, the Torredembarra Town Council through Pla Partial Platja de Torredembarra 4b Muntanyans II, has promoted housing development in the area. The housing at Els Muntanyans I is advertised as a good location for a second home: 'Una segunda residencia dise�ada con el confort de su primera residencia' (a second home designed to be as comfortable as your main residence). The development is now nearly completed and construction of Els Muntanyans II has started (February 2008). Els Muntanyans I - Nova Torredembarra - the first construction phase near completion (February 2008). Loss of an area with high ecological value as representing the continuity of natural space included in the Protection of Spaces of Natural Interest (PEIN). The PEIN Plan (1992) established new Natural Parks and selected a number of other natural areas that link the Parks together to form a Green Ring around Barcelona. The Plan protects biological corridors connecting the twelve most important natural areas thus contributing to the preservation of wildlife diversity. Elimination of the only remaining biological connector on the coast of northern Tarragona linking the rural interior and coastline. Possible alteration of the water dynamics in the protected zone, caused by runoff from the urbanisation. The increase in freshwater input to the system can unbalance soil salinity with subsequent modification of existing vegetation. The canalisation of the Gibert torrent may alter the supply of fresh water to the coastal wetlands, resulting in a water deficit in some areas, and a surplus in others. As the soakaway becomes blocked by sediment, a new lake may form at the mouth of the canalised channel (see above image). In the past, flood water from the Gibert torrent was able to spread slowly across the Muntanyans II site and gradually infiltrate the soil. The drainage channel was ill-defined, but canalisation now concentrates and speeds the flow, directing it towards the main coastal rail link which lies a short distance between the soakaway and the sea. In a worst-case flood event, this rail link may be cut. Increased population pressures will lead to erosion and loss of biodiversity. 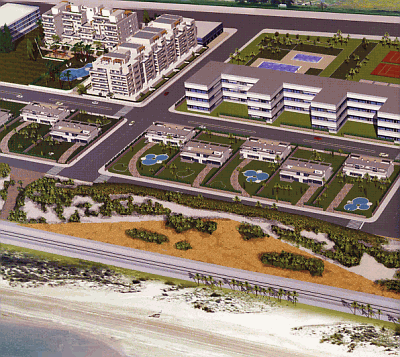 The development lies just 50 metres from the protected zone and an estimated 1,500 people a day will cross the area to access the beach during the holiday season. A study carried out by Risknat, of the University of Barcelona, concluded that the El Muntanyans II is in a high risk flood zone. Canalisation of the Torrent Gibert will not stop the flood risk since the direction of the waters of Torrent Gibert "are uncontrollable and the nature of the terrain directs them towards the planned housing development". The action group Salvem Els Muntanyans (Save Els Muntanyans) and Greenpeace arranged a news conference in September 2005 to present a video report showing Els Muntanyans II completely flooded during storms that struck the Catalan coast earlier that month. Soakaways are a simple way of dispersing surface and storm water. The two determining factors for soakaway success are the size of the area (or volume of water) to be drained and the percolation rate of the soil/sub-soil or, in some sites, the depth to the water table. The water table is defined as the upper level of the groundwater that is naturally held within the soil, sub-soil or bedrock. It is not uncommon for the water table to rise during the wet months of winter and to fall during the drier summer. In coastal sites and those in or adjacent to wetlands such as Els Muntanyans, the water table is near the surface. In such cases, a soakaway may not work and a lake may form after heavy rain. The Gibert torrent soakaway at Els Muntanyans is formed of large angular stone blocks, designed to slow water flow and encourage infiltration. Over time, however, the soakaway will be filled with the deposition of fine sediment, the surface will become vegetated and percolation rates will be greatly reduced. The Gibert torrent is categorised by the Catalan Government Water Agency as of high flood risk, with significant damage likely to housing and infrastructure during storm events. An increased numbers of visitors to the El Muntanyans site will reduce its recreational and leisure value as an oasis of wilderness on a very crowded coast. 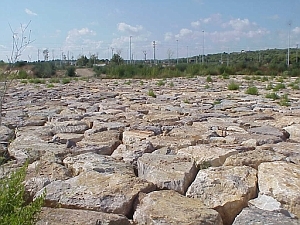 At the end of January 2008, the Catalan Parliament approved increasing the area protected under the PEIN plan at the Muntanyans II site in Torredembarra. The Torredembarra Town Council has asked the promoter of Muntanyans II to halt the works for three months. A criminal complaint was lodged by a member of Salvem Els Muntanyans against the mayor of Torredembarra, and his predecessor in the post. Both mayors were accused of having allowed an urban project that could destroy a wetland zone. The mayor of Torredembarra announced that he would abstain in any future vote referring to Muntanyans II. In June 2008 a judge dismissed the complaint on grounds of lack of evidence. A complaint has now been lodged with the European Commission and has been broadened to take account of the lack of required administrative procedure in the canalisation of the Gibert torrent. The European Commission plans to make a decision within a year. In the meantime, the construction of roads, street lighting and the laying of electricity lines to building plots has been completed. The Spanish Government is finally fighting back against the coastal concrete and its 'Strategy for Coastal Sustainability' (2007) aims to buy up unoccupied coastal land, recategorise as protected areas land already approved for construction, and demolish buildings and recreational ports that occupy public beaches. The plan also demands the enforcement of an existing law that requires the first 100 metres of shore be kept free of all construction. All in all, the proposal is expected to cost ?5 billion and to affect more than 400 miles of coastline.